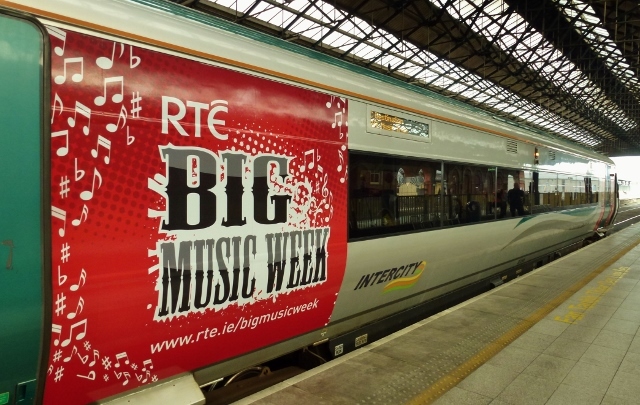 Christy Moore returned to his native county of Kildare to take part in the RTÉ Big Music week at Patrician Secondary school in Newbridge, where he was a pupil many years ago. 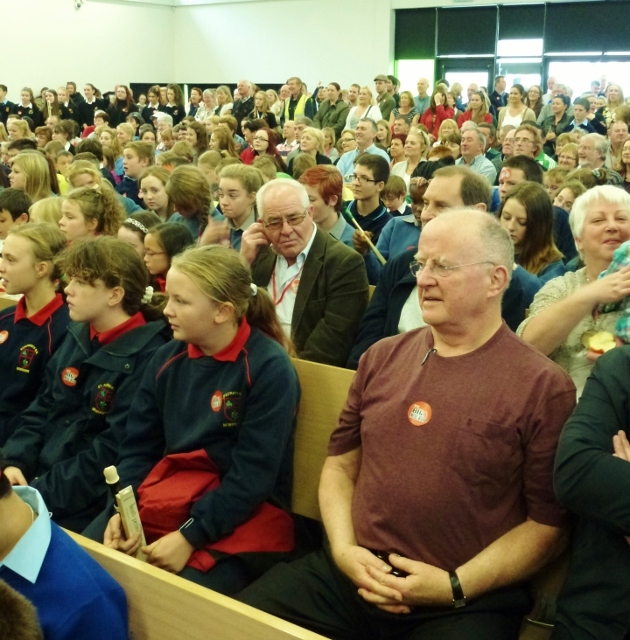 When I looked around the packed school hall, I suddenly noticed him behind me sitting in the audience and moving with the music as Luka Bloom sang. 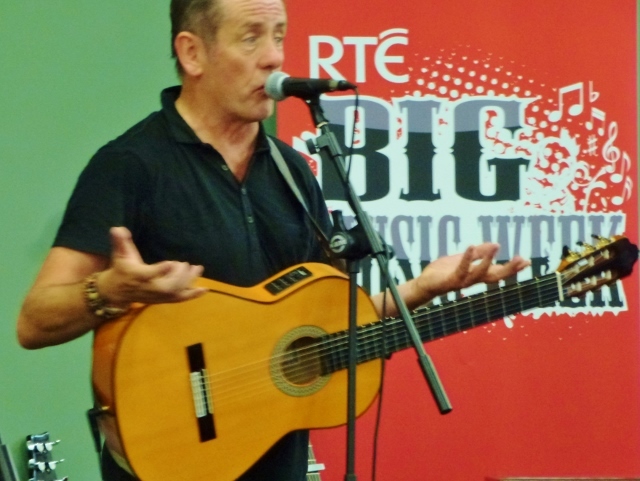 Only afterwards did I realise that Luka Bloom is the stage name for Kevin Barry Moore, Christy’s younger brother from Prosperous. 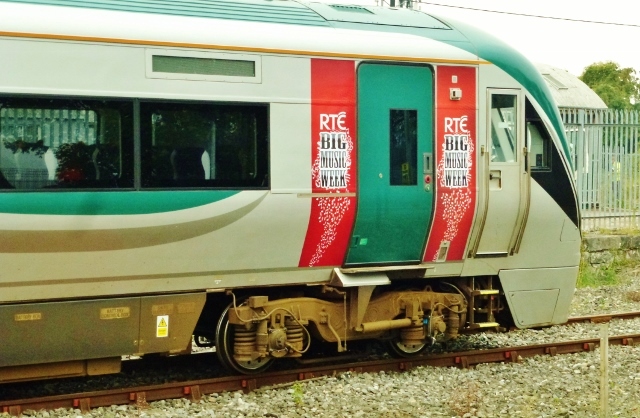 Anne Cassin climbs aboard the RTÉ music train from Dublin to Newbridge and Carlow and looks back at the history of Six One as it celebrates 25 years of broadcasting. 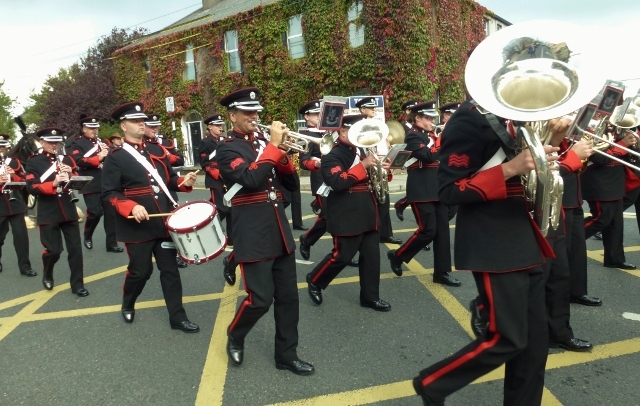 Watch the programme here on the RTÉ Player. 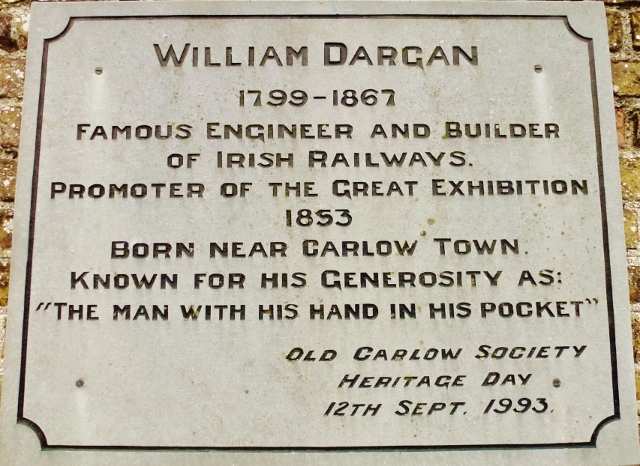 Broadcast on Wednesday October 2nd, 2013. 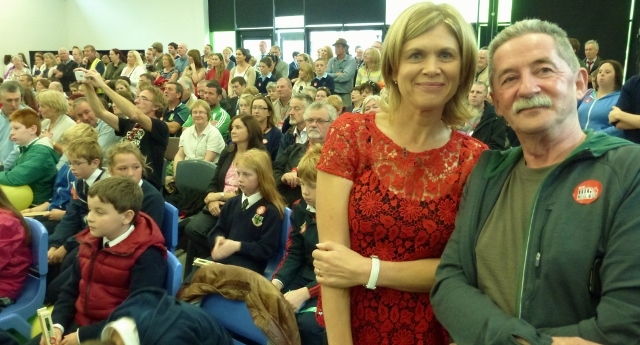 You will see a brief picture of me listening to the music at Patrician Secondary School in Newbridge at 6:20 into the programme. 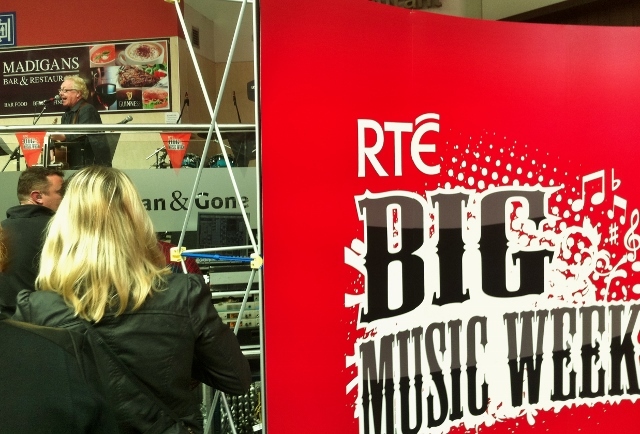 Today was Day Three of the RTÉ Big Music Week. 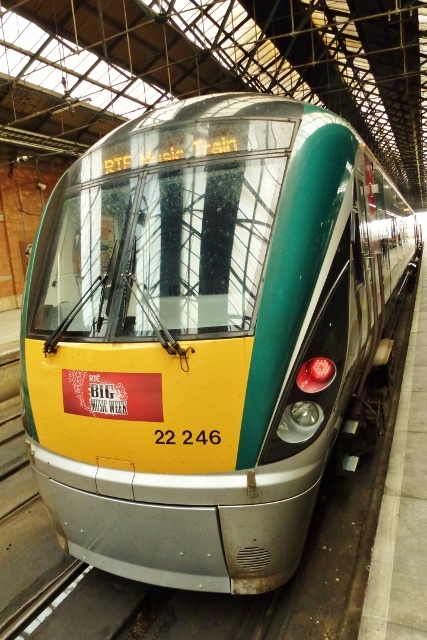 The train travelled from Limerick via Galway to Westport in County Mayo. 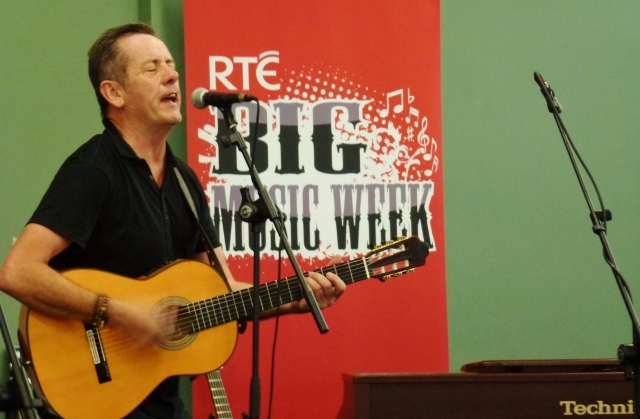 Tonight there was a concert in Matt Molloy’s pub, featuring Sharon Shannon, Mundy, Frankie Gavin & The Ríl De Danann, Julie Feeney, Máirtín O Connor, We Banjo 3, Matt Molloy & local musicians, Laoise Kelly and more. 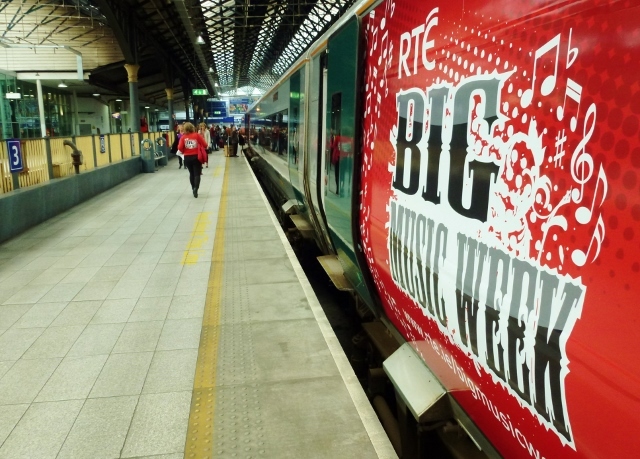 This was day two of the RTÉ Big Music Week designed to promote live music. 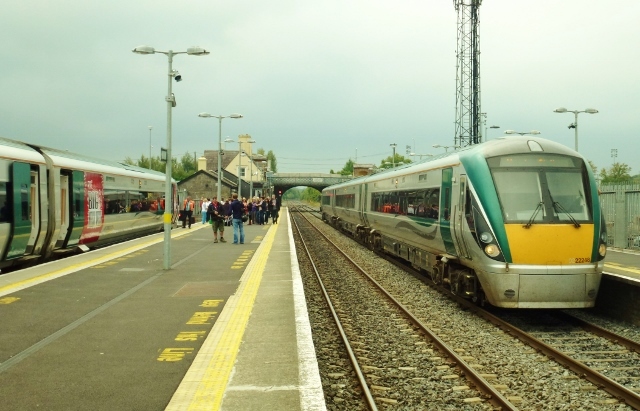 It began yesterday at Bray station in County Wicklow with performances for early morning commuters by a host of starts including The Benzini Brothers featuring Liam Ó MaonlaÍ, Fiachna Ó Braonáin & Peter O’Toole, Luan Parle, Lisa O’Neill, The Lost Brothers & Eleanor McEvoy. 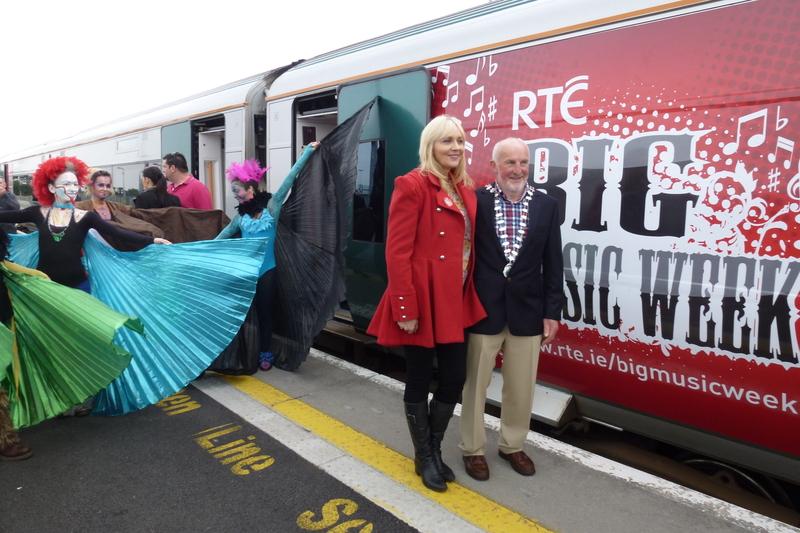 The special three carriage RTÉ Music Train then made its way to Dublin’s Connolly Station where I was able to join the event. 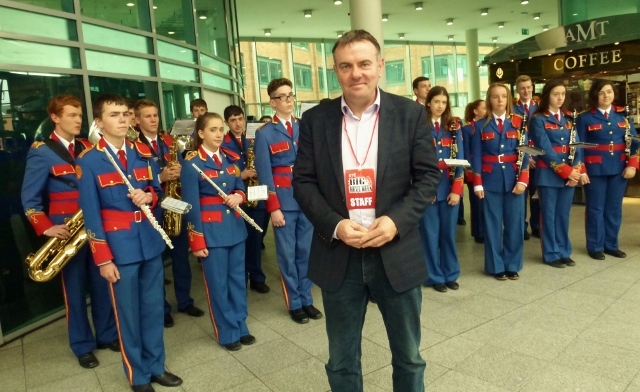 I met the RTÉ Director General Noel Curran and managed to get his picture as the Artane Band prepared to broadcast live at the end of the John Murray Show with Miriam O’Callaghan. 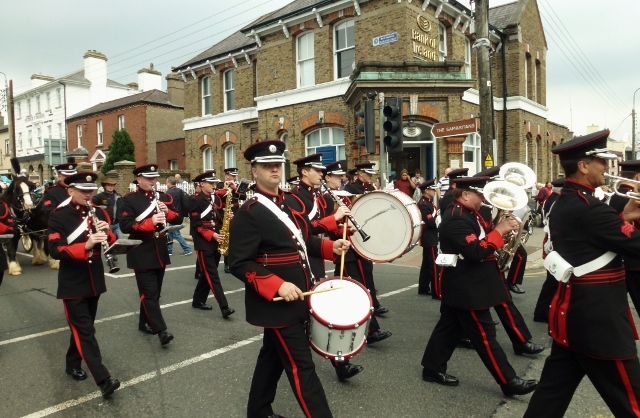 The Artane Band played In Dublin’s Fair City or of you prefer Molly Malone or event Cockles and Mussels to bring the programme to a lively end. 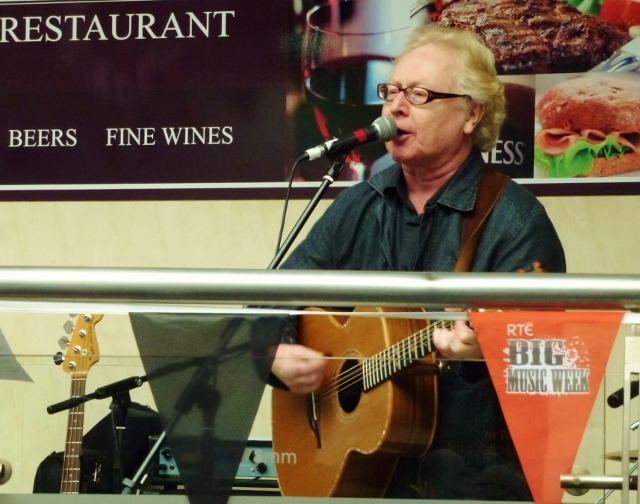 Earlier Miria had introduced various top acts including Paul Brady, Luka Bloom, Kodaline, Damien Dempsey, The Bugle Babes and Bronagh Gallagher. 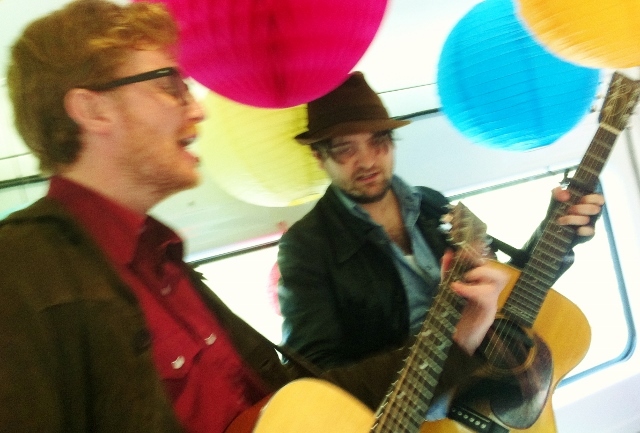 All this was a great example of public service broadcasting at its best. 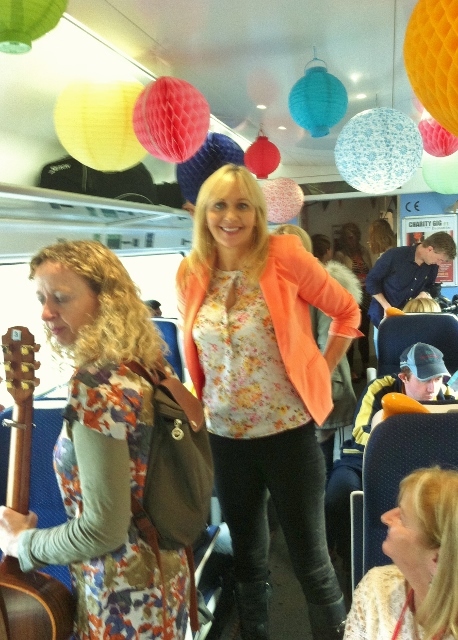 I met several former RTÉ colleagues along the way including Nationwide presenter Anne Cassin. 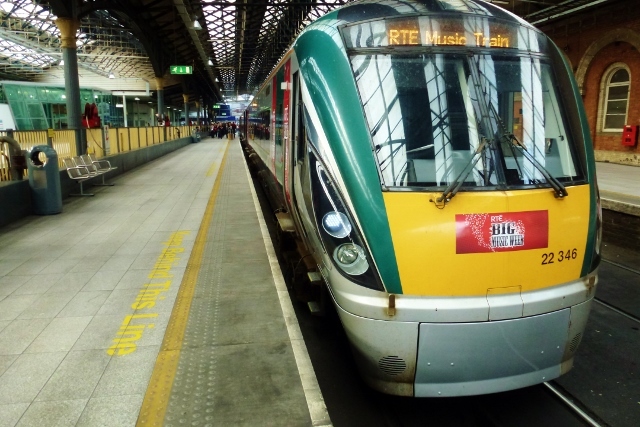 She was working on a package for tomorrow’s programme (Wednesday) on RTÉ at 7pm viewable here. 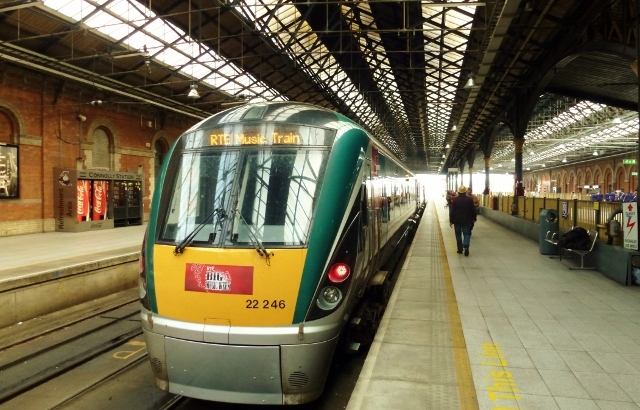 You can see me listening to the music in the hall at 6:20. 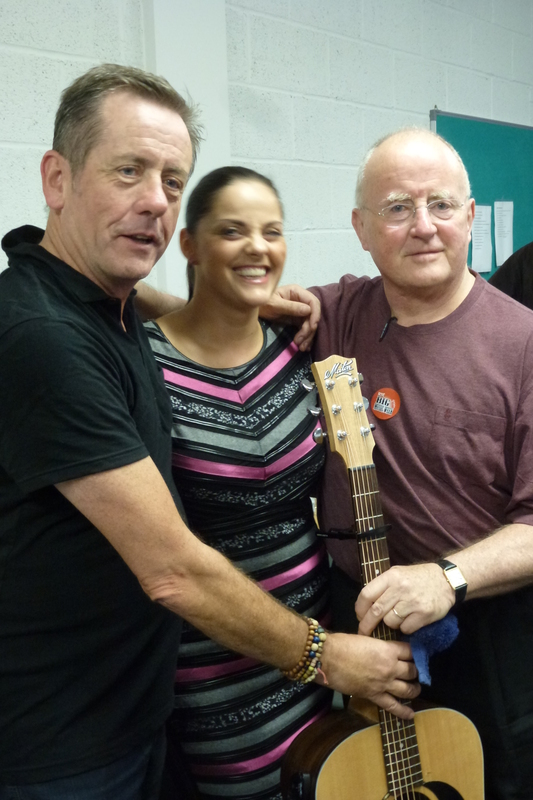 When I was talking to her she was in Newbridge where former Planxty member Christy Moore performed at his alma mater, Patrician Boys’ Secondary School. 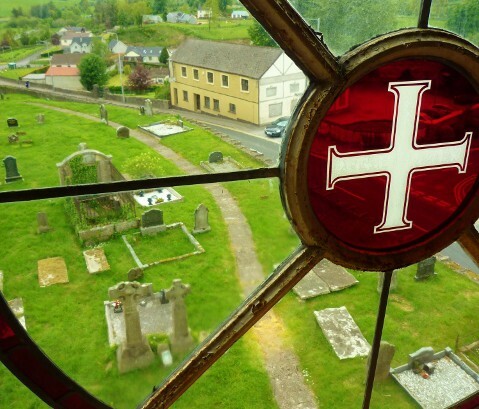 Christy had developed his passion for singing as a pupil in 1958 and he was taught to play the piano by Sr Michael.